Last weekend at the Comet Grill there was an event called Sunshine Festival. There was a group called Firestorm and they played with fire. 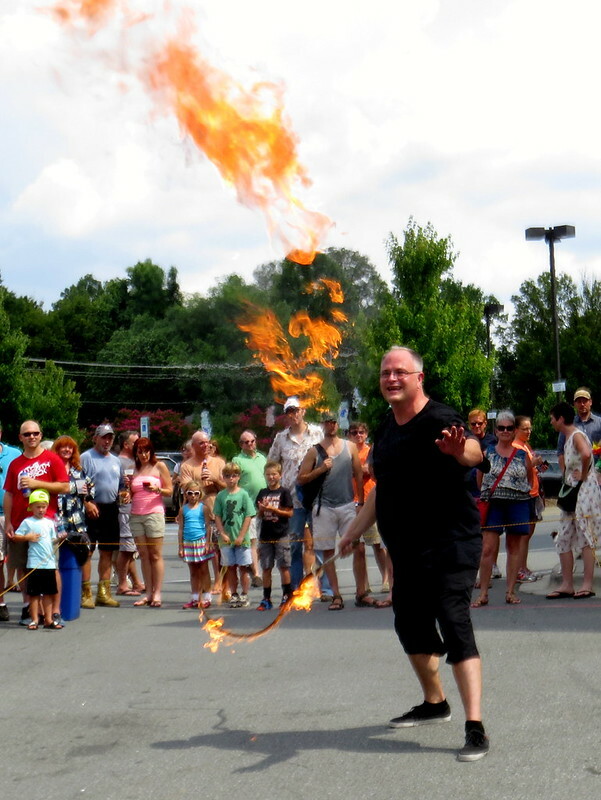 This guy in the picture below set a whip on fire and twirled it around. He even snapped it a couple of times. The first time he cracked the whip it was still full of flammable fluid at when he swung the whip it whooooshed and cracked. The initial crack of a whip is a little shocking, especially when it's on fire. Several people audibly gasped. I caught him right after he swung it for the crack. Too bad it wasn't darker out.